Used by the Universal Private Telegraph Company from 1860; indicating the alphabet on its dials by turning the handle to generate magneto-electricity it did not need batteries. The sender stopped the needle by pressing one of the small button keys on the lower dial. 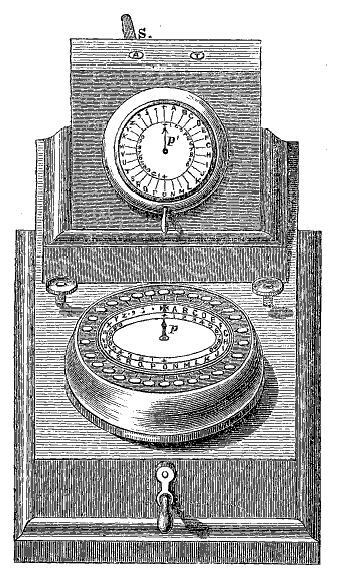 The lever on the top switched between A – alarm and T – telegraph.